Cataclysm started as a joke with a friend. It was my birthday, I was turning 44. If you've heard some of my music, you know that I like odd-time signatures, polyrhythms and the like. So this was going to be the year of 4/4, the most symetrical time signature, my worst nightmare! What a cataclysm! I dind't say it was a very funny joke. ;) I remember saying something like: "I should write a composition in 4/4, one bar every day, for the whole year, as atonement for the rhythmic excesses of my past!". Had a few laughs, went on with the birthday, went home that night... and then something interesting happened. I thought: "but what if I do it?". It sounded weirdly interesting, and all of a sudden I knew I had to try this. So I wrote bar #1, challenge accepted!, and went to bed. Fast forward 365 days, and now the project is completed, and I'm so so happy that I embarked on this adventure! 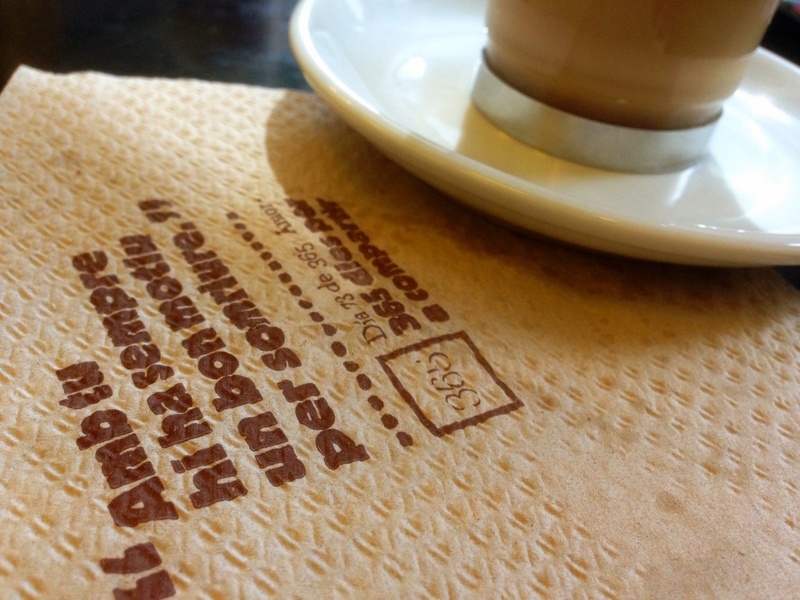 You gotta be kidding, a cafe with its own 365-day project! And of course, the word of the day was "Amor", which means Love in Catalan. Wonderful! The project was very simple: write a composition in 4/4, one bar every day, for a whole year. That's it. Very simple, I found that really inspiring and powerful. I used Notion, a notation app I run in my iPad. This has its strengths and its limitations, and I tried to embrace them both from the beginning, and make the most of it. No looking back. I couldn't change anything from previous bars. What was written in previous days, stayed. The one exception were dynamic markings and articulations, but only to get a better sound from Notion. Even this happened only occasionally, especially in fragments where there were long notes spanning multiple bars, and adjusting crescendos and diminuendos could not be done on a bar-by-bar basis. Stop at the bar line. Yep, every day, just one bar. 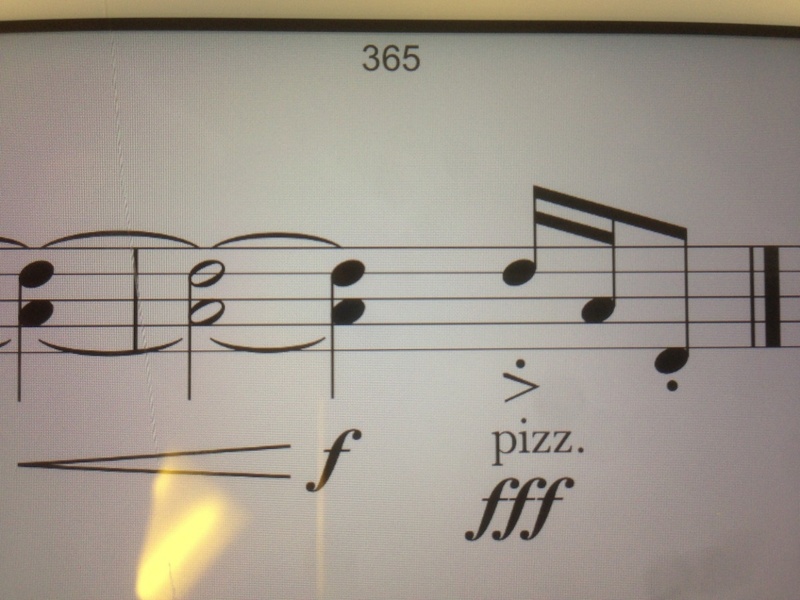 If that left a melody half-way through, that's just fine. It was unavoidable to have some ideas about how a bar might continue. Nope, chuck those away, put the iPad away and do something else. Go climbing, or ride my bike, do some work... tomorrow, we'll see. This one was tricky at first, but eventually it became easy and even enjoyable. Full dedication to each bar. Sometimes the bar was interesting, sometimes exciting, sometimes really simple. It could take anywhere from a few minutes to over an hour. Sometimes I was tired, or frustrated, or excited. But I always tried to give muy full attention to that day's bar, and write it from the heart. I recently read a quote that says: "what is done in love, is done well". I believe that's very true, that simple. No planning. I deliberately avoided planning for the future. I focused on the bar at hand only, and tried to find out what it asked, without thinking about what would come later. Naturally there are connections with the previous and following bars. Often a bar would suggest (to some extent) how it could proceed, but I really tried to not make any plans. In fact it wasn't rare that some unexpected turns would occur, and the composition followed very unpredictable paths. I also had a few times the strong feeling that something was about to happen in the composition, but it took days or weeks to actually take place. And sometimes something completely different took place. This was a lot of fun, being surprised on a regular basis. Bringing a bit the qualities of improvisation into composition? Weekly publishing. This was also important for me. I wanted to share the joy I got from doing this project from the beginning, so every Sunday I published it on my blog, seven bars longer each week. I also thought it might help those listeners not very familiar with this kind of music: hearing it one bite-sized chunk at a time might be a gentler way to get into it. Cataclysm has been a challenge in multiple ways. Doing something every day, for a whole year, is not an easy thing. Give it a go, you'll see. :) For a long time I've been interested in focused practice, particularly daily practice. I've done a lot of 30 day challenges (I even started a related project, 30-day Groove), but a full year is something else altogether. Doing only one bar a day was also challenging, especially at the beginning. Eventually I relaxed into this and started to enjoy the idiosynchracies of the project's artificial rhythm. And finally, trusting that it would find its own way, and that it would be an interesting one, was a challenge of its own. It was easy to doubt or judge certain aspects. To not let that settle involved a lot of letting go of control. I started Cataclysm in Berlin, in a Keller in Friedrichshain, Berlin. Btw, I love Berlin, I don't think it's a coincidence that the idea was born there. Marc, Ester, Laura, I miss you! Ok, back to places. I like moving around, doing the same things in differents places, and different things in the same place. Catalcysm was the perfect project to take with me on the go. I only needed my iPad and headphones, so I ended up writing bars in all sorts of places. Very often in cafes, also lying on the grass in Hasenheide or Tempelhofer Feld, or in funky Kienitzer Coworking, or on the S-Bahn. Then I went to Barcelona, where more Cataclysm happened. And that was the end of a long nomadic period. I flew to Melbourne in September (so a couple of bars happened somewhere over Asia and at airports in between flights). Melbourne offered more coffee places, and nature, and loving friends' houses, and Cataclysm became ubiquitous. Somewhere around day 100 I met my partner, and many bars happened by her, somewhere in Melbourne or around Melbourne. And then we went on an European trip that saw bars written in Germany, Hungary, Greece and Spain. 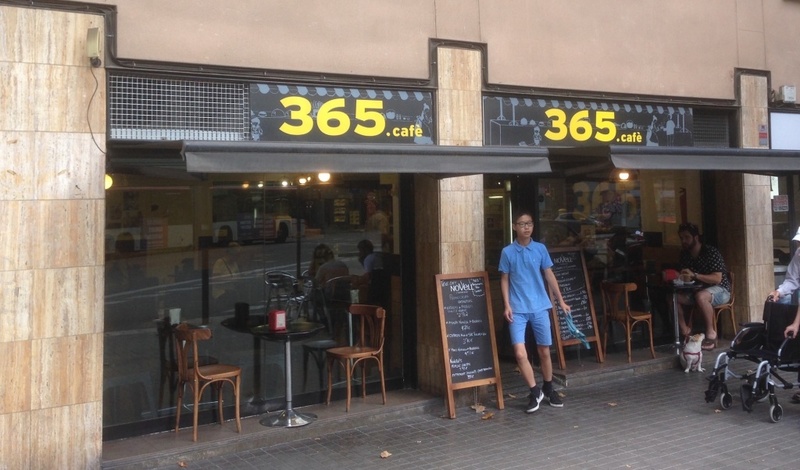 And today Barcelona brought bar 365, and closes this funky international circle. I'm grateful for all the beautiful and groovy places I've been able to work in. I don't really want to talk much about the music itself or any technical aspects. Best to listen to it! But I do feel like sharing some of my experiences with the composition itself. The instrumentation was very random. On day #1, the first thing I had to do was to set up the project in Notion. Step one was choosing the instruments. Considering I had no plan, no ideas, nothing to guide the choice, I decided to go completly intuitive. I set up a biggish group, half rock band, half chamber ensemble. After all, if I could only write one bar each day, I wanted to have some instruments to play with! I quite like the ensemble, it's been a lot of fun to try all sorts of combinations and textures. Writing one bar at a time is very counter-intuitive, bordering on ridiculous. That's not how one thinks about a composition, and it can get very frustrating. Very weird. So yeah, I'm in. :) From the beginning I had a nagging doubt about it though: will it make any sense? Or will it become pointles, or unbalanced, or plain crap? After the first few bars the music had already become so dense that I could not imagine how this could work for 365 bars. I feared it would take on a flat-wave structure: something develops for a while, hits the top, resolves. Then something else develops, tops, resolves. And so on, but without much internal cohesion or development. I was vey curious about this. There might be a bit of it at times, but I'm actually quite surprised about how much it did not happen that way. Despite the oddness of the compositional process, the composition found its way to organize itself, often in ways that I'm pretty sure I wouldn't have thought of, had I used a standard compositional approach. Even though I was maybe more concerned with the process itself than the outcome, I'm really happy about the end result. What do you think? Oh, I should apologize. It's actually not 4/4. You didn't really belive that, did you? ;) It's written in 4/4, but there's a lot of rhythmic freedom, including polyrhythms, all over the piece. That's completely intentional, the goal was never to stick to a classic 4/4 (which, by the way, I can do, I swear!). That said, a lot of it ends up being 4/4, it even gets a clearly rocky feel in many sections. Also, the clarinet in Bb is written in C, and I'm only using treble and bass clefs. This is intentional. I'm aware that this is unconventional and potentially annoying for some readers, and I take full responsibility for it. In that case, cursing is perfectly appropriate. I would have loved to get more feedback throughout the project. . The weekly posts went probably rather unnoticed. But I know some people listened to it, and I'm grateful to have so many awesome friends that supported me and enjoyed the ride with me, each in their own way. Big thanks to Mycle, Albert, Nico, Maria, Eva and specially Astrid, who provided regular feedback, most of the photos for the weekly posts, and finally the Very Funky Cover, gracias guapa! What now? Am I sad that there's no more Cataclysm? Turns out, not at all. I've loved this project deeply, but it's time to do something else now, and I'm very happy to wrap this up today with this post. I might try to get a better mix and improve some of the sounds a bit, but that's post-project, and only a maybe. Today I simply smile, celebrate in and out, and give thanks for what has been a fantastic adventure. The final version of Cataclysm is on its own page, at http://dense13.com/post/cataclysm .